Delivery from £5.50 to United Kingdom in 9 - 19 working days. 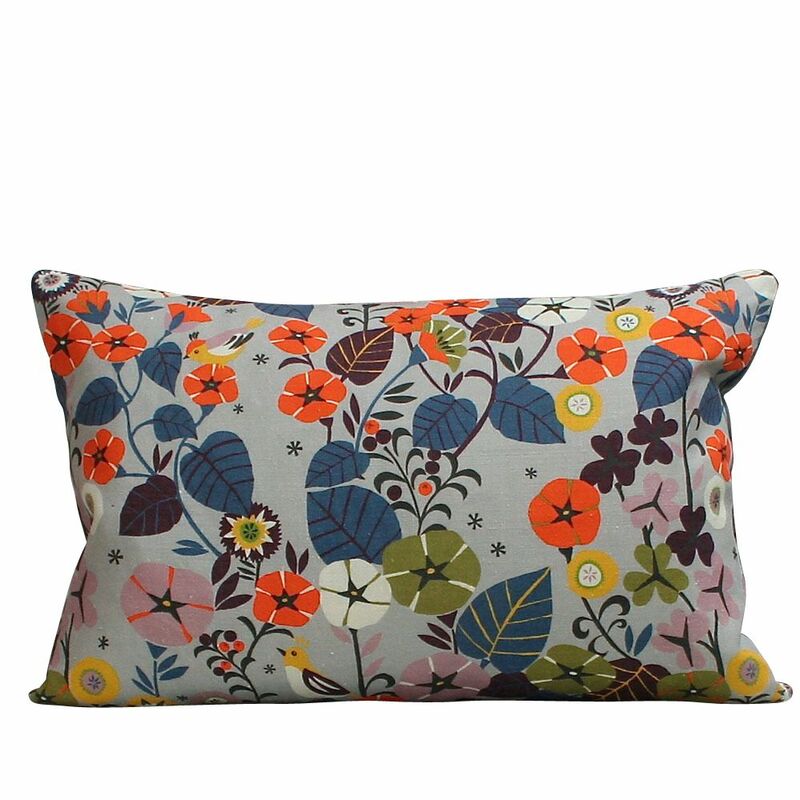 Nasturtium is our own upholstery fabric designed by the very talented Brie Harrison. The fabric is a linen mix printed in the UK. This scatter cushion measures 60x40cm, and is filled with a feather pad & coordinating plain on back with envelope opening. Please note the pattern position may vary from cushion to cushion. We love pattern and use both vintage textiles and our own new designs throughout our collection. The majority of our range is made in Great Britain by individual crafts-people, exclusively for us. We hope you like what you see.